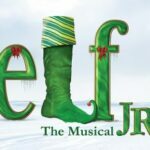 Let’s kick off the holiday season with a show that is guaranteed fun for all ages! 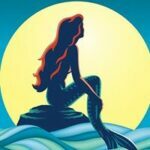 Join Alpine Community Theater for a fun, family-friendly musical presentation of Disney’s Little Mermaid performed by adults, teens and children! 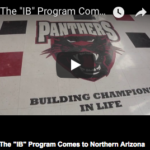 Coconino High School and Sinagua Middle School are planning to introduce The International Baccalaureate program. These two schools will be the first in Northern Arizona to introduce the program. The International Baccalaureate program is a rigorous study that incorporates an international education. 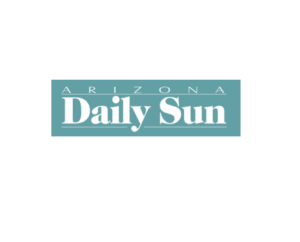 Six out of the 276 schools that have pending letter grades by the Arizona Department of Education are in the Flagstaff area. Those six schools include two schools from Flagstaff Unified School District, Flagstaff High School and Sinagua Middle School. The remaining four schools are charters including Flagstaff Arts and Leadership Academy, Flagstaff Junior Academy, Basis and Northland Preparatory Academy. Sinagua Middle School and Killip Elementary School chess champions may need a little monetary push to get to the U.S. Chess Federation’s Super Nationals, the Olympics of chess, in Nashville, Tenn., this year. Sinagua currently has the funding to send its team to Super Nationals, but Killip Elementary has fallen about $6,000 short. Killip chess teacher Ted Komada explained that the team had a donor who was planning to give $10,000 to the team, but severe budget cuts at the donor’s business ended up making them unable to give the funds to Killip. Komada declined to name the donor. Alpine Community Theater of Flagstaff (ACT) is excited to announce our performances of “Disney’s Beauty and the Beast”. This beloved fairy tale comes to life with a cast of 80 people, ranging in ages from 5 to 60! 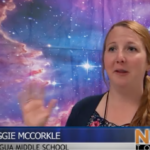 Jillian Worssam, is an 8th grade science teacher at Sinagua Middle School, and founder of the “Scientists in the Classroom Program.” The SITC Program partners students one to one with practicing scientists in the field for an entire academic year.